In this robotic lifestyle, the life of a man has become like a robot. He gets up, eats his breakfast, sets off to his work, returns home only to find himself tired enough to sleep. Thus, he doesn’t manage to take out time for himself. 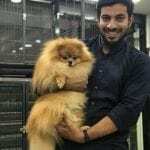 Naturally, following this lifestyle, he even fails to take out any time for his health too. Many health problems begin to crop up because of this destructured lifestyle. Often, various chronic bodily pains begin to shape up which disrupts the health of a man. Various body aches such as backaches, neck pain, headache, migraine and shoulder pain can be commonly encountered in various people today. People often look for medication as the neck and shoulder pain treatment. 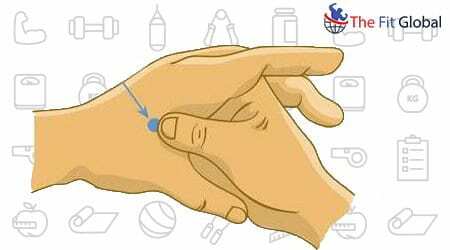 Applying acupressure points for body gives a relief from such pains for a longer period. A headache is one common problem among a majority of people today. Moving a little down from the head, we encounter yet another common and chronic ache suffered by the masses. The neck is very important part of the body. It entertains the power of turning the head in whichever way it wants. However, the modern technology, as well as computer-centric lifestyle of a person, has led to a severe pain as well as discomfort in the neck and the shoulder region which results in throbbing headaches. Our body comprises of various energy points called the yang points. These points are located in the neck and head regions and thus acupressure and reflexology can be used in order to get rid of the pain. Neck and shoulder pain treatment could easily be cured by the techniques of reflexology and acupressure. 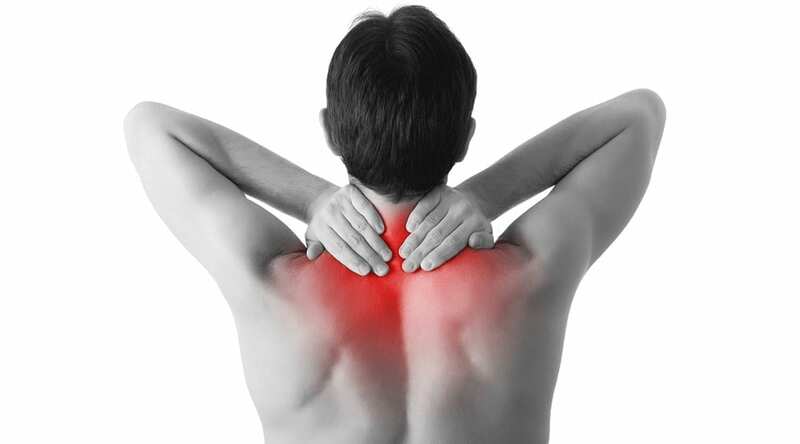 Neck and shoulder pain in the human beings is caused as a result of a number of reasons. Some of the common reasons include taking a sleep in a wrong position, sitting in a wrong posture, some serious problems like meningitis and arthritis. The serious problems give rise to painful neck and shoulders and also cause headaches and migraines which last for several days. Reflexology and acupressure, however, ease this pain in the shortest possible time. People often sit in a poor posture which gives rise to neck as well as shoulder pain. Poor sleeping position of the people is one important reason for neck and shoulder pain. The strain in muscles caused as a result of various activities give rise to neck pain. Overexertion as a result of working for longer hours gives rise to pain in the neck. A sprain is yet another reason for neck and shoulder pain. The pain in the neck and the shoulder caused as a result of above-stated reasons is less serious in nature that lasts for a shorter period of time and can be cured easily by adopting different ways and means. On the other hand, there are some cases in which the pain of the shoulder and neck becomes serious and chronic. The pain in such situations can last for more than a few days. The stiffness caused as a result of the pain also gives rise to backaches and headaches. Meningitis: Meningitis is nothing but the inflammation of the meninges caused around the brain. This leads to a serious neck and shoulder pain. Arthritis: Rheumatoid arthritis, as well as cervical spondylitis, give rise to chronic neck and shoulder pain. In such cases, remedial measures must be taken at the earliest in order to avoid the situation from worsening. The pain in the neck, as well as shoulder, is quite irritating. It hinders our comfortable life and several day-to-day activities. People often prefer taking medication and various pills to get rid of such pain. The fact is that though these pills heal the pain, the relief lasts for a shorter period of time. Acupressure and Reflexology in this scenario, become the ultimate solution for neck and shoulder pain treatment. Acupressure heals the pain internally and therefore the pain lasts for a longer period of time as compared to other forms of medication. Also, in some cases, acupressure for neck and shoulder pain give a yielding(permanent) treatment. Acupressure and reflexology is the ultimate remedy to cure all kinds of neck and shoulder pain. This healing therapy is not new but has its roots in the ancient eastern healing arts that aid in curing the irritating and throbbing body aches. Acupressure points for shoulder pain and neckache treat the pain like the back of one’s hand. They also help in relieving the stress, thereby bringing back the lost balance of your life. If you stimulate these six acupressure points by your own or with the help of a therapeutic acupressure session, you can easily heal the pain and the stiffness caused on your neck and shoulder. Shoulder well: Shoulder pain is situated on the muscle of the shoulder. The exact location lies half way in between the base of the end of the shoulder muscle and the neck. If you stimulate this point fairly, it would help in healing all kind of stiffness caused in the shoulder and the neck. The shoulder well also helps in curing the pain caused in the back. Completion bone: The point of completion bone is situated on the occipital ridge. It is situated in the depression present behind the ear in the region of SCM muscle. This point is one great therapy that helps to relieve the neck and shoulder pain. If you stimulate this point fairly, you will easily get rid of all kinds of headaches and neck pain. Stimulating this point also helps in healing the dizziness caused by such deadly aches. Heaven’s Pillar: Heaven’s Pillar is considered as one of the finest points on the body that aids in a speedy neck and shoulder pain treatment. The energy that generates while stimulating this point helps in overpowering the pain, thereby serving you a quick remedy. The heaven’s pillar is situated on the occipital ridge. The accurate position lies just at the side of where the spine comes in contact with the skull that lies in the tendon. Stimulating the heaven’s pillar helps in keeping the neck and shoulder pain at bay. It also helps in relieving the pain caused in the neck along with the stiffness of the neck. Apart from this, heaven’s pillar also treats numbness and heals a chronic cough. Thus, it serves as one of the finest acupressure points for neck pain. The gate of Consciousness: The gate of consciousness points is located on the backside of the neck. The point can be found in the hollow that occurs in between the muscles of the neck. The muscles at the back of the neck are in a perpendicular form and thus these pressure points could be found near the base of the skull. Applying firm pressure on the gates of consciousness at the back of the neck eases the pain in the neck. It also helps in relieving the stiffness caused in the neck, irritability, headaches as well as dizziness. The window of Heaven: Window of heaven is considered as one of the most important acupressure points for neck pain. This point is situated nearby the gates of consciousness, right below the base of the skill. The most accurate position of the window of heaven is on the very notch, at the base of the skull. Applying pressure and stimulating the window of heaven can give you best results. If this point is stimulated on a regular basis, it would aid in the reduction of the pain and the stiffness caused in the neck as well as a headache. It is also considered as one great shoulder pain treatment. 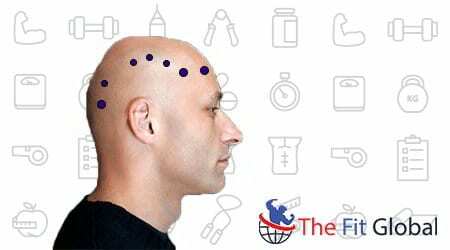 The head region comprises a series of seven different points that are situated on the head of a person. These seven points work wonders in giving you an instant relief from neck, head as well as shoulder pain. If you stimulate all these seven points simultaneously, it will immediately give you relief from the chronic pain caused as a result of arthritis as well as a frontal headache. The following points are located in the head region that provides a quick remedy against all kinds of neck, head and shoulder pains. Celestial Window: The celestial window is a point of the side neck region. This point is located in the muscle situated beneath and a bit behind the lobe of the ear. This point serves as one of the finest acupressure points for shoulder pain, neck pain and headache. Stimulating this point would help in the reduction of stiffness caused in the shoulder and the neck. This point also treats all kinds of headaches. Union Valley: Union valley is a point that serves as the best shoulder pain treatment. The union valley is situated right in the web in between the index finger and the thumb. Stimulation of this point aids in the reduction of tension as well as uneasiness caused in the neck and shoulders as a result of long chronic pain. Apart from this, stimulating the union valley also helps in healing the frequent problem of stress and anxiety caused in a person. Drilling Bamboo: The points of the face are very helpful in healing the pain in the neck. 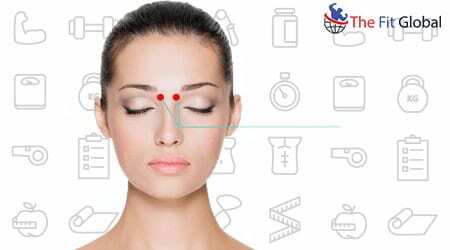 The acupressure point on the face is situated on the bridge of the nose. The accurate position of this point is just underneath the ends of the eyebrows. Applying pressure on the drilling bamboo on a regular basis helps to relieve pain in the neck. This point also helps to heal the hay fever, sinus, different kinds of headaches, etc. After knowing all the important and relevant acupressure points for the neck and shoulder pain treatment, here are a few acupressure and reflexology tips that you must be acquainted with in order to make your acupressure sessions the most successful sessions so that you get rid away of the pains at the earliest. These tips will make your acupressure session an unforgettable and the most relieving session. Firstly, you must get a proper idea about your problem and the kind of the pain that you are going through. You must perform a few stretching exercises before beginning your acupressure session. Several neck and shoulder pain exercises are recommended by the consultant before starting the acupressure session. You must lie down on a clean mat. You must keep the essential supplies like pillows and towels handy. You must put a support of rolled towels or clothes or bed sheets anywhere your body is not touching the mat. You must initiate the sessions by the way of pressing the points very softly with your fingers. You must apply pressure on the same points on both the sides of your body at the very same time, simultaneously. You must let this pressure rest for the duration of two or three minutes before moving to the next point. Acupressure and reflexology is one amazing and accurate neck and shoulder pain treatment. This therapy has an extensive history and today it is used very effectively by the people to cure different diseases and ailments. This therapy helps to maintain the balance of the body with the natural elements. It doesn’t require any medication or pills. Reflexology and acupressure are totally organic in nature. Are you suffering from a longing neck or a shoulder pain? If yes, try the treatment offered by acupressure and reflexology today.